おい。It’s getting cold, which means clogged sinuses, heavy clothing and next to no free time. What a time to be alive! One of my personal frustrations with the anime industry (in the West) is that while the anime industry is seeing a rise in favor, and many series see disc releases, there are many series yet which I for one would love to add to my collection, but haven’t been picked up, at least to my knowledge, for official release (Highschool Fleet, Majimoji Rurumo, Genei wo Kakeru Taiyou, Shakunetsu no Takkyuu Musume, Amanchu! to name just a few). Of course, in an industry which has so many series that it would take a lifetime to even attempt to watch through them all, there are bound to be a few favorites here or there, whether of high or low general appeal which might be overlooked. Worldwide anime releases aren’t where they need to be, but it’s good to see that step by step we’re getting there. I apologize for the lack of attention the Soapbox has been seeing over the past few months. It is been supremely busy at work. Miyamizu Mitsuha is a girl frustrated with her life in the traditional countryside. 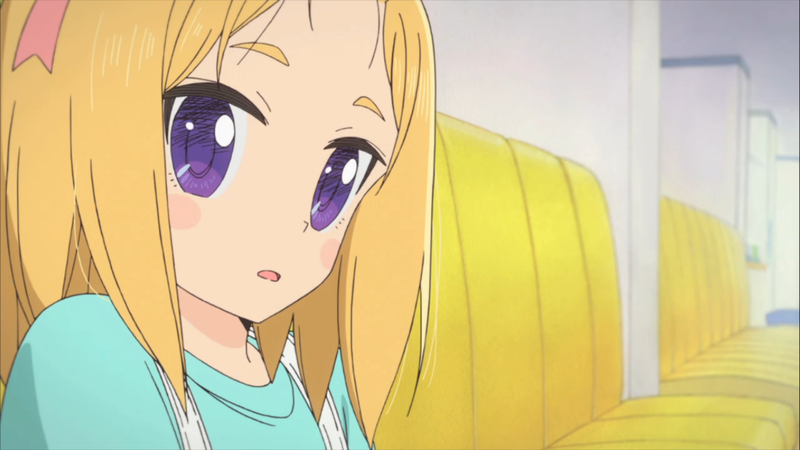 Tachibana Taki is a city-faring student with a part-time job. With the approach of a shooting star, the two awake one morning to realize they’ve swapped bodies! While it fades after but a single day, this odd happening comes as goes as it will, leaving the two in over their respective heads. 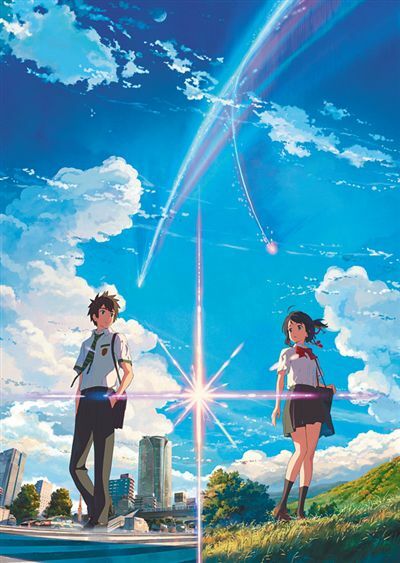 Kimi no Na Wa tells the story of these star-crossed teens and their struggle to cope with this bizarre phenomenon, while juggling the chaos it brings to their lives. If you’re familiar with Shinkai Makoto, and have watched one of his films before, then there’s a certain expectation when going into a new movie of his, that if anything, it will be the most amazing production you’ve seen recently, and Kimi no Na Wa exemplifies this with flying colors. Where some anime films, and to a lesser degree tv anime may exhibit artwork frame by frame which would be welcome adorned upon your wall as a piece of art fit for everyday appreciation, the visuals on show in this film are so scrupulously vivid and displayed with such immaculate attention to detail, that it begs for multiple viewings just to soak them all in. From small scale scenes which glint beautifully under the sun, to jaw-dropping time lapse cityscapes, there really is no way to understate the visuals. The story is also solid, though the body-swap premise has been done before, robbing this film of a bit of its novelty. If you’re in it for the character, it’s still worth a watch, as both Mitsuha and Taki are tangible, relatable and likable in their own ways. A little more time is spent with Mitsuha’s life situation than Taki’s, which makes gives her more staying power, but both characters’ respective lifestyles and personalities play through well, and both sides of the story come with them a small group of supporting characters, all of which are likable in their own ways. I’m admittedly a little underwhelmed with the overall impact this movie left, but that isn’t to say I disliked the narrative by any degree. It is a solid love story with its own share of comedic as well as memorable moments, and the movie builds to its conclusion superbly. 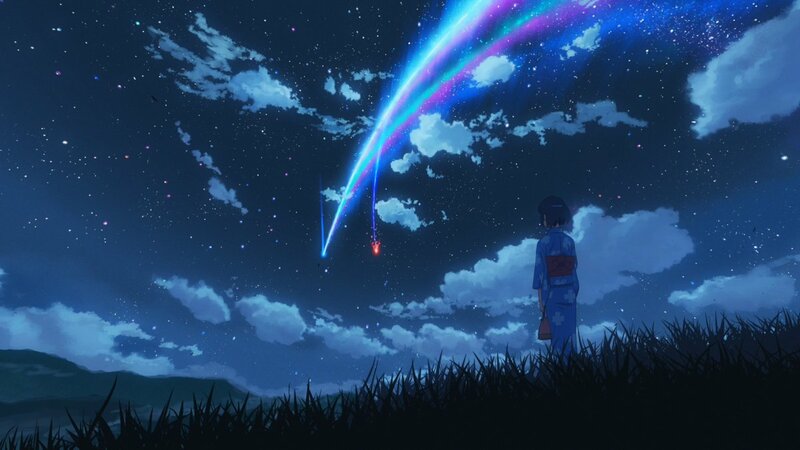 Kimi no Na Wa. might not break new ground with its premise, or tell a life-changing narrative to be contemplated, but its peerless production quality and tangible, relatable characters make this film an urging recommendation. Pure Illusion. It is a world which runs parallel to our own, which, before meeting the endlessly bright and boisterously energetic Papika, Cocona had never known existed. Within this world, seemingly anything is possible, and its very make-up contorts and changes into something entirely different every time the two find themselves there. Within the confines of Pure Illusion, a tremendous power resides, and a rival group is out to claim it for themselves. What is the nature of Pure Illusion, and how do Cocona and Papika fit into it? I have not watched a series in recent history which I was so baffled by. 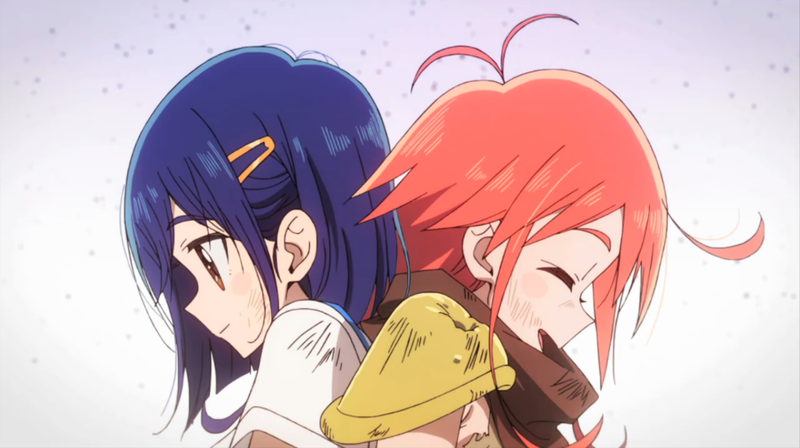 Flip Flappers brings the goods in the art and animation, with great use of color, a wonderfully bright art style and fluid animation to bring it all to life, but the plot is a bit obtuse. The episode to episode structure is a bit similar to your typical shoujo/shounen monster of the week series, though rather than the enemy changing, the environments in which the “enemies” appear are the focus here. The open-ended nature of the environments in which this series takes place allow for a tremendous amount of creativity, and this is a series which has no qualms with referencing anime series of years past with its various styles. There’s some Evangelion in there; there’s some Fist of the North Star in there; there’s some magical girl and some horror in there as well. 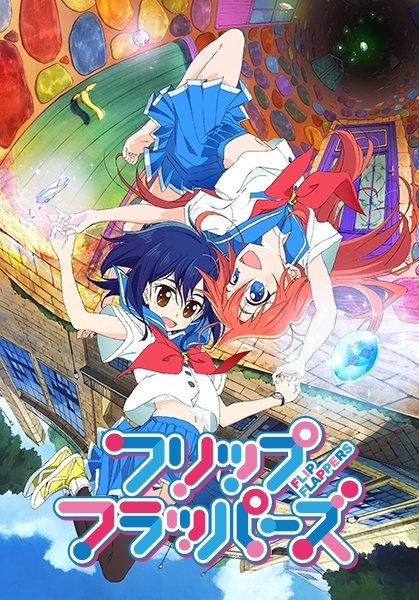 This willingness to greatly alter the style and sometimes tone can make this series feel a bit sporadic and uneven, and coupled with how loose they are about tossing in narrative morsels, it can sometimes feel as though Flip Flappers doesn’t have much of an identity to call its own. That said, there is nonetheless an appeal to a series such as this, because it’s difficult to know what sorts of visual treats you’ll be treated to from episode to episode. Waiting to see where it goes next became entertaining in its own right at a point, even if it drags its feet with its narrative. Flip Flappers is a series with a short attention span. While this can be frustrating, it also means that it’s a series with a seemingly endless amount of creative things to show you, and while the story isn’t much to write home about, the visuals are at times an artistic marvel. If you aren’t against style over substance, check it out. 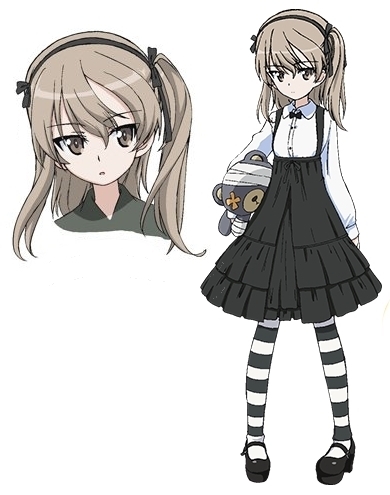 After their past victories in the competitive world of Sensha-dou, Nishizumi Miho, Kadotani Anzu and all of the girls of Ooarai Girls High School have trended along with their lives, participating in friendly tankery skirmishes with rival schools. Not all is as peaceful as it would seem however, as manipulative forces seek to continue the decommissioning of Miho and her friends’ school. It is decided by these dark forces that in order to keep their word in leaving the school open, Ooarai would need to best a college-level Sensha-dou team in a battle of attrition. Enlisting their freshest battlefield strategies, and calling in the help of a few familiar faces, the girls of Ooarai High rise to face their greatest challenge yet, and to save the school they hold so dear once and for all. If you had told me that this movie was largely comprised of a single, thirty on thirty tank battle, I might have forcefully set aside time for it a little sooner! 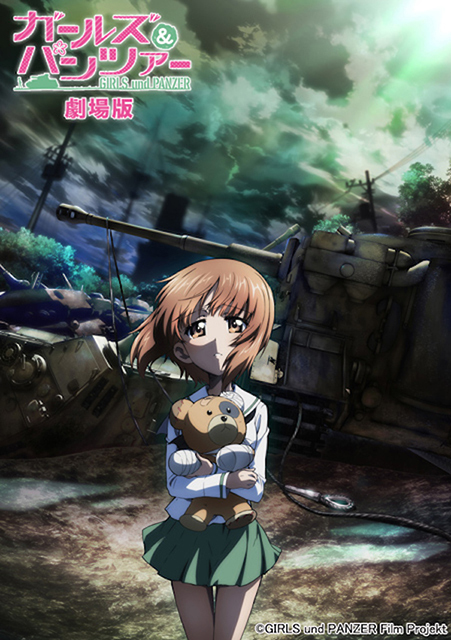 Contrivances are put into place a bit when it comes to setting up the tankery match which takes up the bulk of the film, but this contrivance in turn leaves the door open for future stories told within the Girls und Panzer universe, which I suppose is a contrivance worth making. I’m an ignorant man, so I’m willing to admit I’m likely incorrect, but in my limited knowledge, I cannot think of another film devoted almost entirely to a single battle sequence. It’s an idea which, when put on paper, is equally grand as foolish, because what action can be is exhausting. 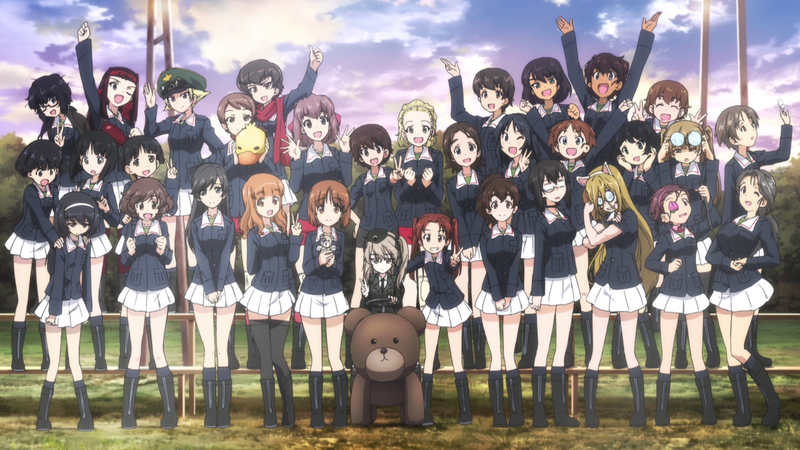 Girls und Panzer der Film does a great job of breaking up the pace, though. By smart use of musical cues, and utilizing the slow pace of tank warfare, this massive battle is broken into smaller skirmishes, allowing for particular groups of characters to take the spotlight. The movie budget allows for great animation and boisterous sound, but the ambition afforded by its longer run time is what makes for a crack at such an impressive concept. It’s fascinating, but der Film also brings the goods as a vector for flexing the fandom muscle, as all of the faces you’d want to see from the series leading up to this point make an appearance, even including Anchovy and her band of knuckleheads from a previous OVA. If I had to voice a gripe, I would say that all of this focus on the chaos of tankery competition means less attention to plot, which in turn means that Shimada Alice, who is the fresh face of the film, sees next to no love from the narrative. More backstory or even more screen time would have been nice, because she’s a force to be reckoned with on the battlefield, and her character design is just wonderful. What’s there is great (watching the hall monitor girls fall into the depths of depression in the most adorable fashion imaginable was a hilarious highlight), and it’s tough to get too bent out of shape when the action is so good, but it’s worth mentioning. Girls und Panzer der Film is a motion picture above even its own moe aesthetic and its sometimes over the top action. Rather, I would be audacious enough to say that it is an impressive achievement, as it masterfully takes on the daunting task of stretching a single, massive battle out over almost the length of its run time, and carefully manages to be neither exhausting nor dully paced despite it. In more ways than one, it is the busiest time of the year, but thankfully with this year’s Call of Duty out, there aren’t any more big video game releases for a bit. The Autumn anime season continues, and the series I’ve been finding the most joy in out of the series I’ve picked up is Blend-S. What have you been watching?